This past weekend the eyes of the comic book community were focused on Chicago, as the annual C2E2 Convention was held at the South Building At McCormick Place. As fans have come to expect over the years, Marvel had a large presence at the show, with several announcements over the course of the three day event. The “Women of Marvel” panel featured one of these big announcements, as a new Squirrel Girl OGN was unveiled. 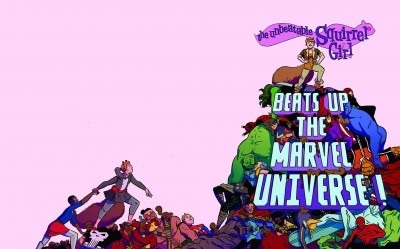 Titled The Unbeatable Squirrel Girl Beats Up The Marvel Universe, this original graphic novel (OGN) is a play on the well received “Kills The Marvel Universe” format. Made popular by 1995’s Punisher Kills The Marvel Universe, the format has been used a few times over the past twenty years with characters such as Deadpool. If past titles are any indication we can expect the title to be taken literally, and for Squirrel Girl to take on the entire Marvel Universe. Squirrel Girl’s nature won’t be to kill, but she sure has shown through the years that she can beat everyone up. Proof that we’re living in the best of all possible worlds: THERE’S GONNA BE A SQUIRREL GIRL GRAPHIC NOVEL! It’s a stand-alone adventure that’s both great for new Squirrel Girl readers, and also for people who ALREADY know about how she can talk to squirrels and also punch really well! Squirrel Girl has defeated Thanos, Galactus, and Doctor Doom. TWICE. But in this all-new graphic novel, she’ll encounter her most dangerous, most powerful, most unbeatable enemy yet: HERSELF. Specifically, an evil duplicate made possible through mad science (both computer and regular) as well as some Bad Decisions. In other words, SQUIRREL GIRL BEATS UP THE MARVEL UNIVERSE! 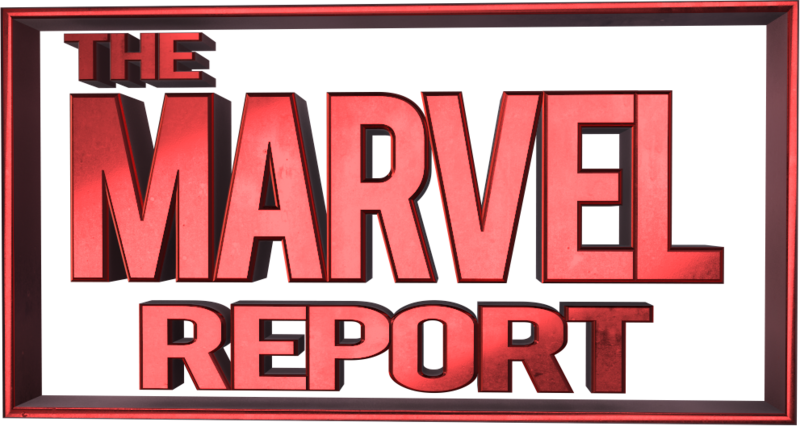 Stay dialed in on all things Marvel here at The Marvel Report, and make sure to follow us on Twitter @TheMarvelReport.